Cam's Cinematic Episodes: Finally, A Dent In The BATMAN Franchise Worth Celebrating! 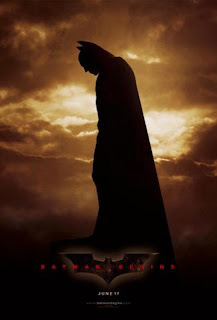 Finally, A Dent In The BATMAN Franchise Worth Celebrating! Wow, long time since I updated this old warhorse, huh? Yep, I've been lazy. Well, lazy and adjusting to a new school schedule which didn't leave me as much time to jump on here. But enough excuses, let's get into it! So, after 2+ months, what breaks the silence you ask? Well, I'll tell you! Two-Face, baby! This post was looooooooong in the planning stages before the first post I ever did and I'm finally getting to do it. So, buckle up and let's take a little trip to the wonderful land of Christopher Nolan's Batman universe. It's good to be back. Now, news broke a few days ago (pre-Oscars) that Nolan, the genius who reinvented the Caped Crusader's world with Batman Begins, has finally filled the role of Gotham City D.A. Harvey Dent (who later becomes Two-Face) in the eagerly awaited The Dark Knight. And that actor is... AARON ECKHART!!! 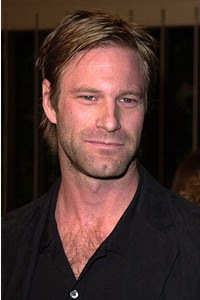 Who is Aaron Eckhart, you ask? Well, Aaron is currently most recognized for his great portrayal of a tobacco company spin control expert in last year's Thank You For Smoking (Rent it!). He's also popped up in gems such as Any Given Sunday, Erin Brockovich, Nurse Betty, The Pledge, and The Missing (Hey, I Liked It!!!). His luck in big blockbusters has been limited thus far to The Core (A guilty pleasure of mine) and Paycheck, but Nolan's gonna change all that. See, Eckhart's big breakthrough role was in a dark, uncompromising indie called In The Company Of Men (If you haven't seen it, get out there and find it. It's worth your time). Anyone who has seen that film knows how well Eckhart can play men who are consumed by narcissism. I'm guessing Nolan had that film in mind when he gave him the role of Harvey Dent. Just to jog your memories, Harvey Dent was, as I mentioned earlier, Gotham's D.A.. Was that is, u ntil a crime boss threw acid on him during a trial. Harvey managed to shield one side of his face, but the other was horrifically scarred. The emotional damage caused by his disfigurement led to a split personality. 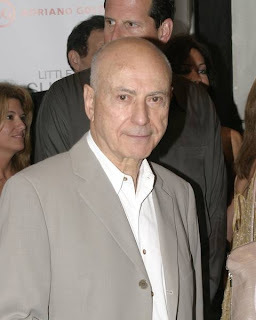 One side, Harvey - a good man, and friend to Bruce Wayne and Batman. 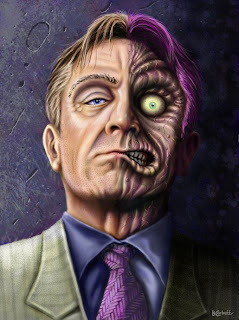 The other side, Two-Face - a sadistic criminal. 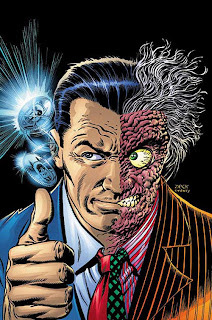 What makes Two-Face interesting is his Achilles Heel. He has to flip a coin constantly to make decisions. One side leads to good decisions, the other to criminal decisions. This is where Nolan comes in. Nolan equals quality. From his breakthrough film Memento, through Batman Begins and the recent The Prestige, the guy damn well knows how to make great movies. I have so much trust in this dude, that I KNOW I'll finally see Two-Face done right. ...Until casting began, that is. 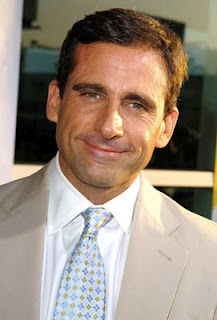 When it was announced that Steve Carell (40-Year-Old Virgin & NBC's The Offic e) was playing Smart, a sigh of relief was let out. I can't think of a better actor for the job. As the rest of the cast came together -The Rock, Terrence Stamp (Superman II, The Limey), and Anne Hathaway (Devil Wears Prada & Brokeback Mountain) as Agent 99, I began to become excited for the damn project. Chances were that my childhood fave wouldn't be bastardized! That's all folks. I plan on posting my year end list of favorites and most despised. I always do these lists in March because it takes me longer to see a big enough sample of the years films. Unfortunately I don't have enough time to get to the theatre every week; though lord knows I'd love to. So, look for that the next couple days. My fondest thanks go out to any who read this, and are still checking out this blog. I pro mise not to let another two months go by again. See y'all soon! P.S. 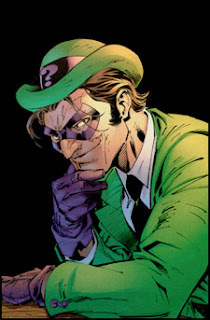 : Nolan, if you're reading this: Please give us a cool Riddler, then I can really die happy!